Dulles Launches Facial Recognition Boarding [VIDEO] - Joe.My.God. 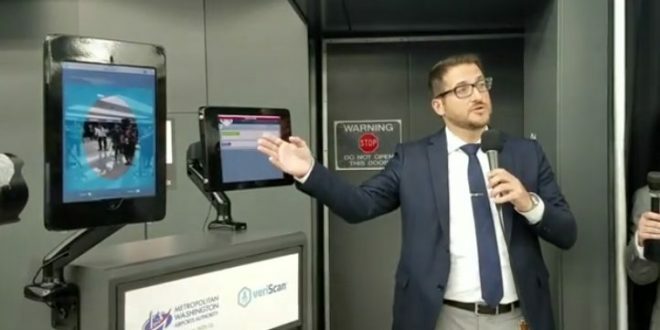 The new veriScan system developed by the Metropolitan Washington Airports Authority—with guidance from U.S. Customs and Border Protection—scans the faces of travelers approaching the gate. The system then compares the photo to a gallery that includes images of that person—either their passport photo for U.S. citizens or the photo taken of foreign nationals when they entered the country. The process eliminates the need for an airline employee to manually check every boarding pass and passport while boarding a plane.